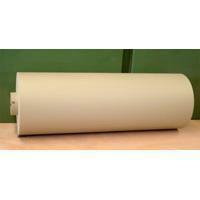 Goodwill FRP CORE is a composite roller which has great advantage of light weight and high strength. Compare with paper roller and PVC roller, FRP CORE provide better strength. And compare with metal roller, FRP CORE is not as heavy as metal roller will be. Especially for heavier or wider materials, Goodwill FRP CORE will be the better option.